← Who is singing now? 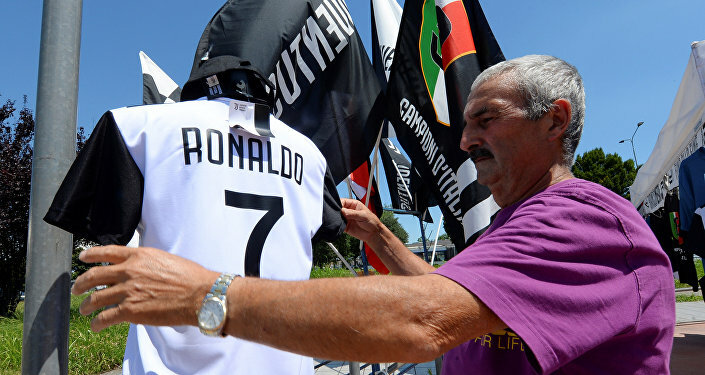 Employees of Italian car giant Fiat are reportedly looking to strike over Juventus’ recent £88 million (over $116 million at the current GBP/USD exchange rate) acquisition of Cristiano Ronaldo, The Independent reported on Thursday. The multi-billion Agnelli family owns large stakes in both Fiat and Juventus, and with Fiat announcing a string of cutbacks and redundancies over the past few years, some employees have been angered by the family’s willingness to spend tens of millions of dollars on buying Ronaldo while they struggle. “It is unacceptable that while the [owners] ask workers of Fiat for huge economic sacrifices for years, the same decide to spend hundreds of millions of euros for the purchase of a player. The owners should invest in car models that guarantee the future of thousands of people rather than enriching only one,” a spokesperson for the USB Lavoro Privato union said. This particular union only represents a small portion of Fiat’s workforce, and is looking to arrange a strike at the carmaker’s Mefi plant in southern Italy. It’s unclear if workers at Fiat Chrysler’s Mefi production facility, which produces Alfa Romeos, Maseratis and Fiats, will indeed strike, potentially bringing widespread disruption to the company’s production.The firm has placed thousands of workers on temporary redundancy programs, as the corporation has struggled to maintain market share and sales revenue. Fiat is aiming for all temporarily laid off workers in Italy to return before 2022, provided their new corporate investment strategy meets expectations and delivers results. The Agnelli family was also a major backer of Mussolini. Giovanni Agnelli was named to the Senate of Italy by the Fascist dictator in 1923. FCA chairman John Elkann is a grandson of Agnelli.